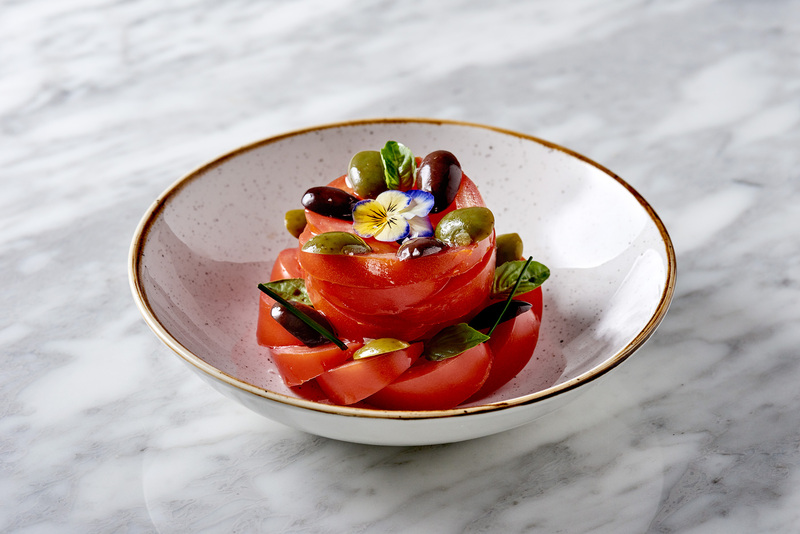 Overlooking the seventeen moorings that float among the finger wharfs of Sydney’s iconic foreshore, Seventeen is the new lively cafe by day and contemporary restaurant by night. And it’s already proving to be a good one. 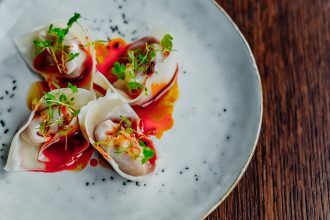 Its contemporary Australian menu is curated by the skilled hands of notable chef Clint Jaeger and combines elements from Australia’s paddock, plentiful sea and rich heritage of its vineyards to create a unique dining concept. 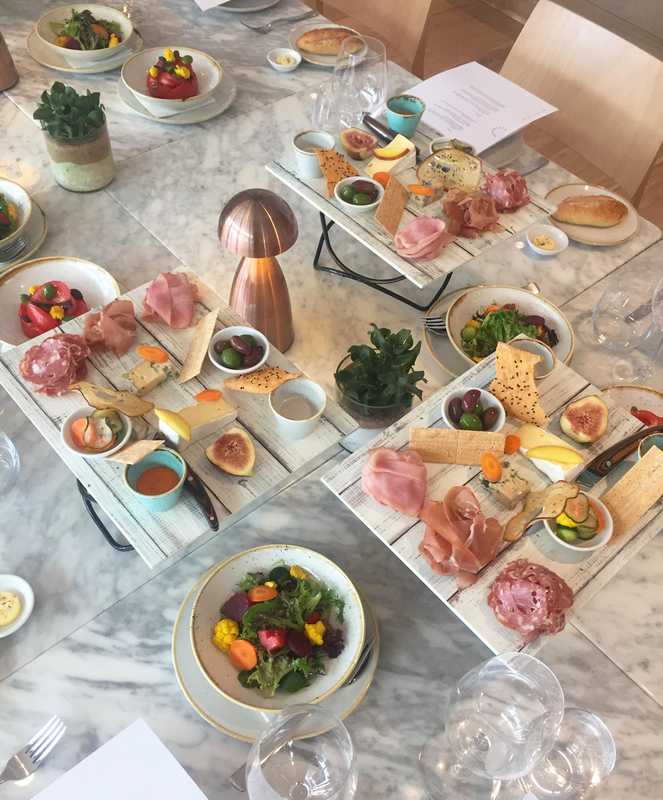 When we first walked in we were greeted with a warm welcome, a seriously good Aperol Spritz and a spectacular spread of antipasto, marble, colourful veggies and edible flowers, Deli Board ($32). 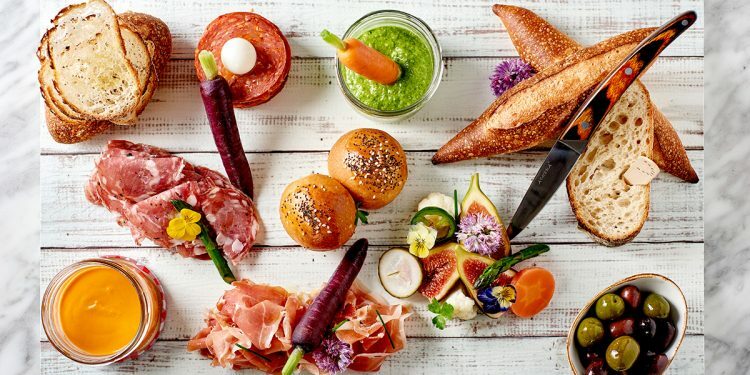 Deli Board: A selection of cured meats & cheeses from Deli Seventeen, with house pickles, marinated olives, romesco bread sauce, truffled honey & summer fruits ($32). After demolishing the timber-look tile in front of me it was time to take on the three courses. 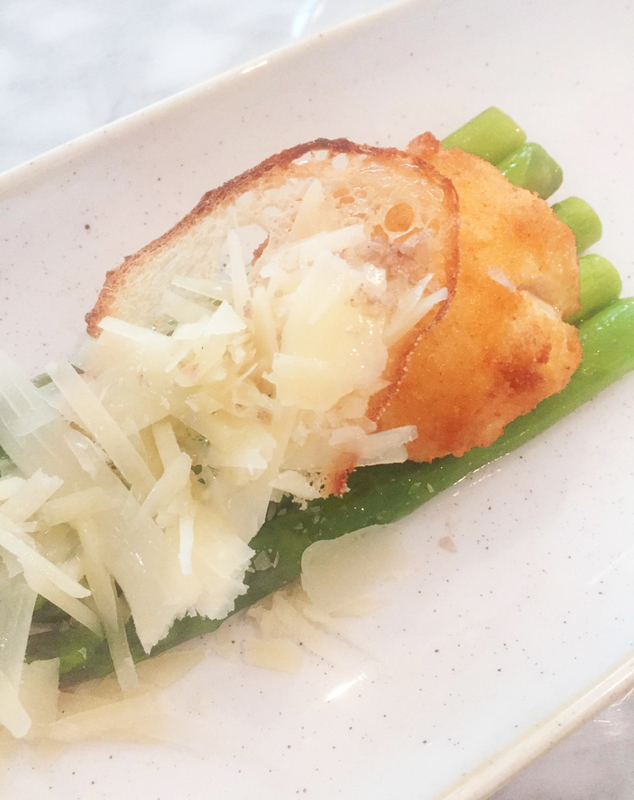 To start, I ordered the Summer Asparagus ($19), a coddled & twice cooked brioche crumbed egg, on a bed of summer asparagus, with Australian olive oil & truffle pecorino. The egg was creamy on the inside and the yolk gently spilled out of the light crunch of the crumbed egg. The asparagus, gently cooked was paired beautifully with the sharp punch of the truffle pecorino. The main was next, and I wasn’t sure it would taste as good as it looked. It was a meticulous staged artwork. And let me tell you, it tasted amazing. 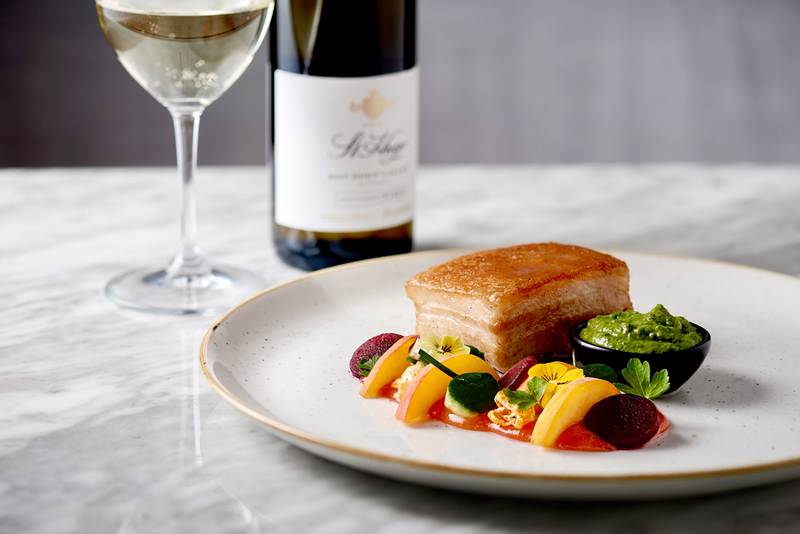 There sat a slice of thick Otway Crispy Skin Pork Belly ($31) accompanied by fresh peach, pickled baby beets, cucumber, candied mustard fruits, sweet potato chips & kale & hazelnut chimichurri. An artists palette of colour that screamed with flavour. The crunch and caramelised taste of the pork crackle skin, teamed with the soft melt-in-your-mouth flesh, shot of sweet peach and salt of the picked veggies made for the festival of flavour my tastebuds were squealing for. I assure you, you won’t be disappointed. But, there was one more dish that impressed me even more. I’m talking about the the Banana Parfait ($13). I am going to call it, it’s probably one of the best ever desserts I have ever eaten and it was clearly evident from the scraped clean plate left behind. 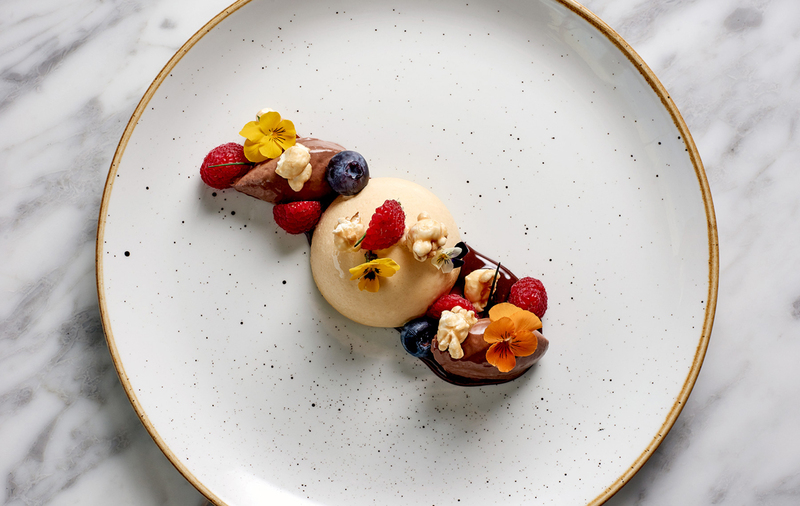 The banana parfait was the most perfect pale yellow dome of chilled deliciousness, sandwiched next to the silkiest creamed Callebaut milk chocolate scoops on a bed of crunchy coco crumb and delicately seasoned with fresh berries and salted caramel popcorn. 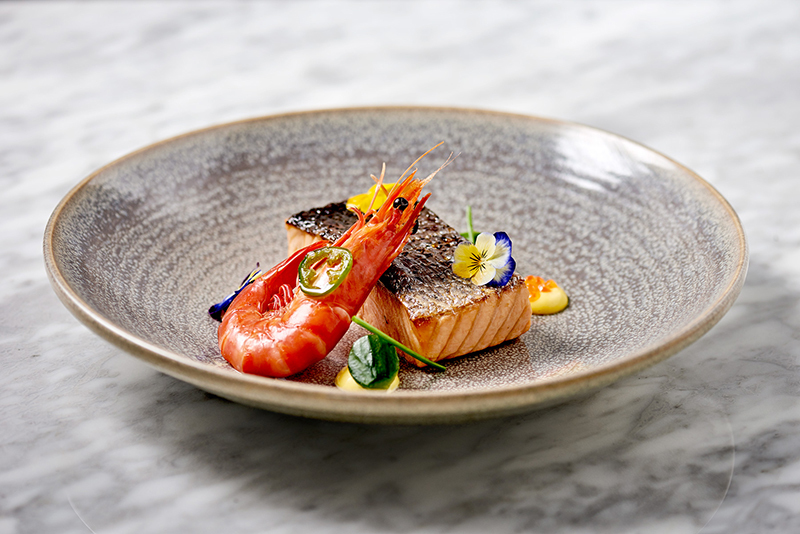 There is not one thing I would change about this dish. It was utter perfection. To top it all off I have to make a comment about the staff. 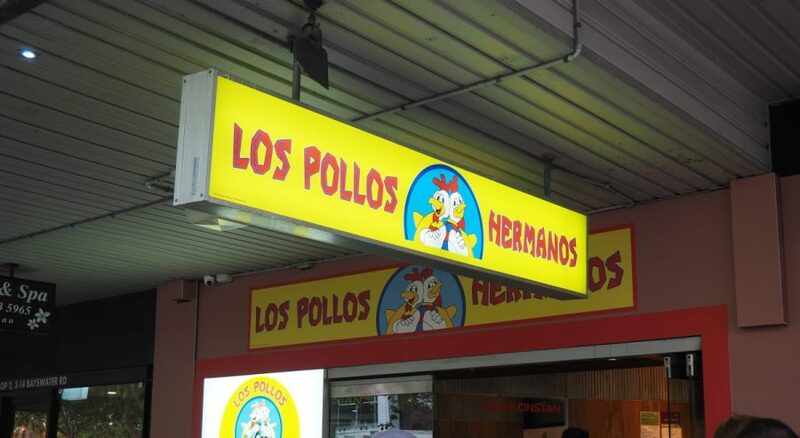 Simply brilliant. 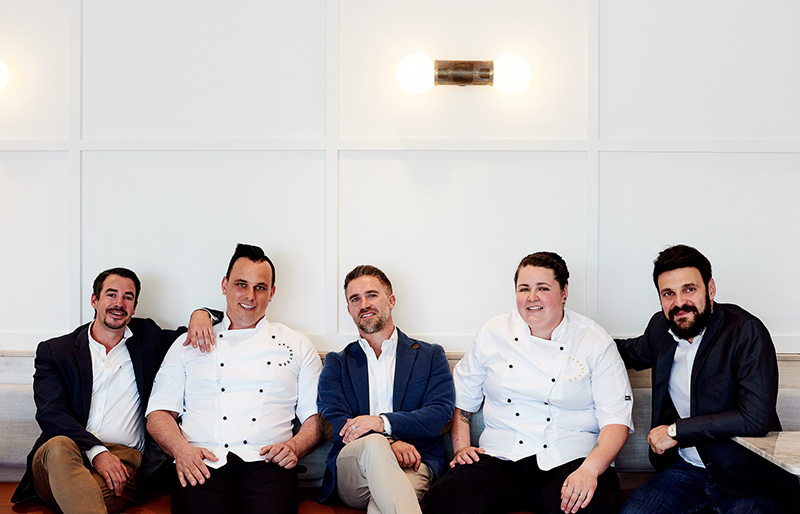 Everyone was extremely welcoming, professional, yet showed their sheer passion and love for the dishes they have. No matter what question we asked, they had an answer, and when you ask for a recommendation- they’ll give it to you straight. And I might add they were always right. Plus if you’re not too sure about pairing wines, the Seventeen team have you covered. They’ll make you feel like a sommelier yourself with their extensive knowledge and willingness to help! 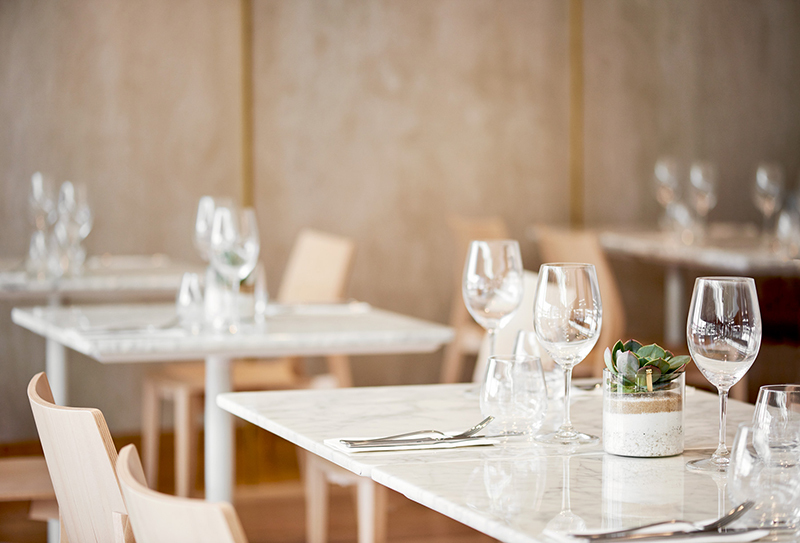 Seventeen- an absolute dining must in Sydney.